Future GRACE / LISA satellite experiment as alternative for the Michelson Morley etherwind experiment, reduced by Earth lightspeed frame dragging of the Local Asymmetric Oscillating vacuum Frame (LASOF) according to Q-FFF theory. 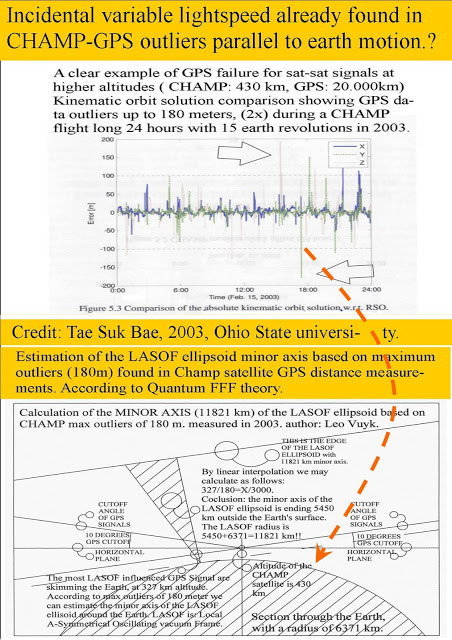 Observing Up and down differences of the light speed between two Grace satellites by earth motion around the sun. As alternative for Michelson Morley experiment. 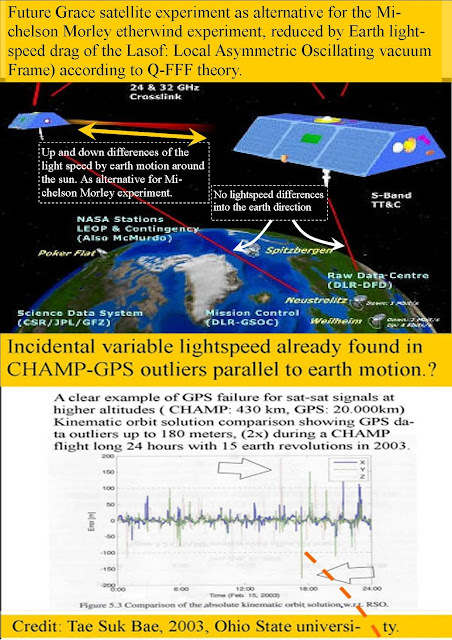 No lightspeed differences should be measured to or from the earth direction due to gravity drag effect. 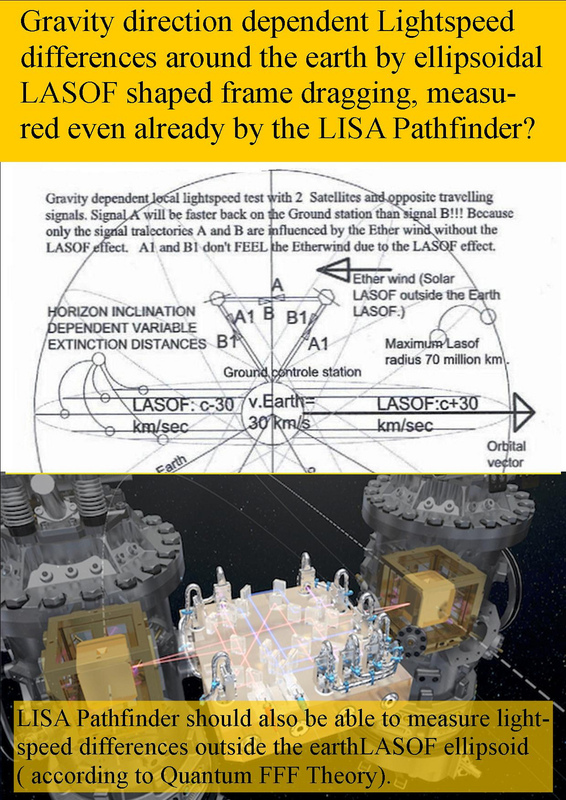 Even the Lisa pathfinder could find siignals for the LASOF lightspeed frame dragging of the earth? 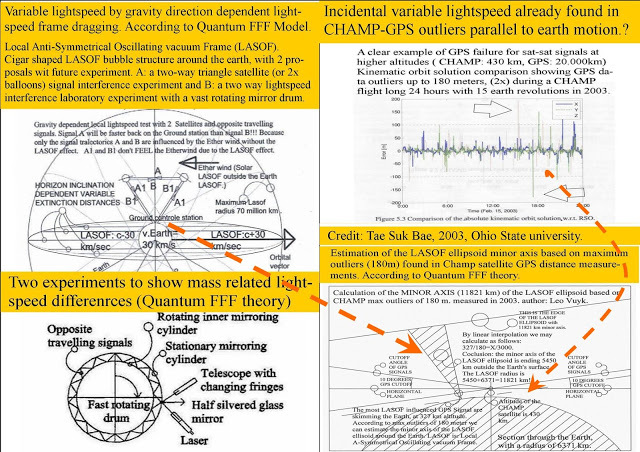 Experiments to Determine the Mass Related Lightspeed Extinction Volume.